Study of cannabinoid receptor 2 Q63R gene polymorphism in Lebanese patients with rheumatoid arthritis. “The cannabinoid (CB) receptor 2, primarily expressed in immune cells, was shown to play important immune-regulatory functions. In particular, the CB2-R63 functional variant has been shown to alter the ability of the CB2 receptor to exert its inhibitory function on T lymphocytes. 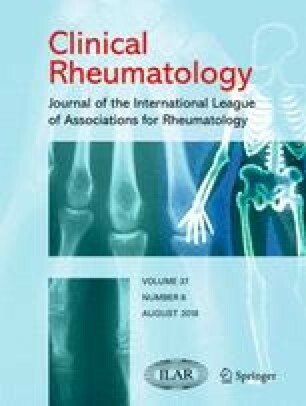 The aim of this study was to investigate the association between a common dinucleotide polymorphism, Q63R, in the cannabinoid receptor 2 gene (CNR2) and rheumatoid arthritis (RA) in the Lebanese population. One hundred five unrelated Lebanese RA patients and one hundred five controls from different Lebanese governorates were recruited in this study. Genomic DNA was extracted, polymerase chain reaction was performed, and CNR2 was genotyped in a blinded fashion. The χ2 test was used to determine the differences in genotypes and allele frequencies. CNR2 genotyping showed significantly higher frequencies of the CB2-R63 variant (allele frequencies, P < 0.00001; genotype distribution, P < 0.00001) in RA patients when compared with healthy controls. Moreover, RR carriers had more than 10-fold risk for developing RA (OR = 10.8444, 95% CI = 5.0950-23.0818; P < 0.0001), and QR carriers had more than 3-fold risk (OR = 3.8667, 95% CI = 1.7886-8.3591; P = 0.0006) as compared with QQ carriers. Cannabinoid receptor 1/2 double-knockout mice develop epilepsy. “The endocannabinoid system has gained attention as an important modulator of activity in the central nervous system. Initial studies focused on cannabinoid receptor 1 (CB1), which is widely expressed in the brain, but recent work also implicates cannabinoidreceptor 2 (CB2) in modulating neuronal activity. Both receptors are capable of reducing neuronal activity, generating interest in cannabinoid receptor agonists as potential anticonvulsants. CB1 (Cnr1) and CB2 (Cnr2) single-knockout mice have been generated, with the former showing heightened seizure sensitivity, but not overt seizures. Given overlapping and complementary functions of CB1 and CB2 receptors, we queried whether double-knockout mice would show an exacerbated neurological phenotype. Polymorphism rs3123554 in the cannabinoid receptor gene type 2 (CNR2) reveals effects on body weight and insulin resistance in obese subjects. “Few studies assessing the relationship between single nucleotide polymorphisms in CNR2 and obesity or its related metabolic parameters are available. To investigate the influence of polymorphism rs3123554 in the CNR2 receptor gene on obesity anthropometric parameters, insulin resistance, and adipokines in subjects with obesity. The study population consisted of 1027 obese subjects, who were performed bioelectrical impedance analyses, blood pressure measurements, serial assessments of dietary intake during three days, and biochemical tests. Genotypes GG, GA, and AA were found in 339 (33.0%), 467 (45.5%), and 221 (21.5%) respectively. Body mass index, weight, fat mass, waist circumference, insulin, HOMA-IR, and triglyceride and leptin levels were higher in A-allele carriers as compared to non A-allele carriers. No differences were seen in these parameters between the GA and AA genotypes. There were no statistical differences in dietary intake. Combined deficiency of the Cnr1 and Cnr2 receptors protects against age-related bone loss by osteoclast inhibition. Emerging therapeutic targets in cancer induced bone disease: A focus on the peripheral type 2 cannabinoid receptor. “Skeletal complications are a common cause of morbidity in patients with primary bone cancer and bone metastases. The type 2 cannabinoid (Cnr2) receptor is implicated in cancer, bone metabolism and pain perception. Emerging data have uncovered the role of Cnr2 in the regulation of tumour-bone cell interactions and suggest that agents that target Cnr2 in the skeleton have potential efficacy in the reduction of skeletal complications associated with cancer. This review aims to provide an overview of findings relating to the role of Cnr2 receptor in the regulation of skeletal tumour growth, osteolysis and bone pain, and highlights the many unanswered questions and unmet needs. This review argues that development and testing of peripherally-acting, tumour-, Cnr2-selective ligands in preclinical models of metastatic cancer will pave the way for future research that will advance our knowledge about the basic mechanism(s) by which the endocannabinoid system regulate cancer metastasis, stimulate the development of a safer cannabis-based therapy for the treatment of cancer and provide policy makers with powerful tools to assess the science and therapeutic potential of cannabinoid-based therapy. [The endocannabinoid system and bone]. Mechanical and material properties of cortical and trabecular bone from cannabinoid receptor-1-null (Cnr1-/-) mice. Cannabinoid Receptors Are Overexpressed in CLL but of Limited Potential for Therapeutic Exploitation. “The cannabinoid receptors 1 and 2 (CNR1&2) are overexpressed in a variety of malignant diseases and cannabinoids can have noteworthy impact on tumor cell viability and tumor growth. Patients diagnosed with chronic lymphocytic leukemia (CLL) present with very heterogeneous disease characteristics translating into highly differential risk properties. To meet the urgent need for refinement in risk stratification at diagnosis and the search for novel therapies we studied CNR expression and response to cannabinoid treatment in CLL. Expression levels of CNR1&2 were determined in 107 CLL patients by real-time PCR and analyzed with regard to prognostic markers and survival. Novel role of cannabinoid receptor 2 in inhibiting EGF/EGFR and IGF-I/IGF-IR pathways in breast cancer. “Breast cancer is the second leading cause of cancer deaths among women. Cannabinoid receptor 2 (CNR2 or CB2) is an integral part of the endocannabinoid system. Although CNR2 is highly expressed in the breast cancer tissues as well as breast cancer cell lines, its functional role in breast tumorigenesis is not well understood. We observed that estrogen receptor-α negative (ERα-) breast cancer cells highly express epidermal growth factor receptor (EGFR) as well as insulin-like growth factor-I receptor (IGF-IR). We also observed IGF-IR upregulation in ERα+ breast cancer cells. In addition, we found that higher CNR2 expression correlates with better recurrence free survival in ERα- and ERα+ breast cancer patients. Our studies showed that CNR2 activation inhibited EGF and IGF-I-induced migration and invasion of ERα+ and ERα- breast cancer cells.